"We were thrilled to win the Opportunity Drawing prize at last year's event! 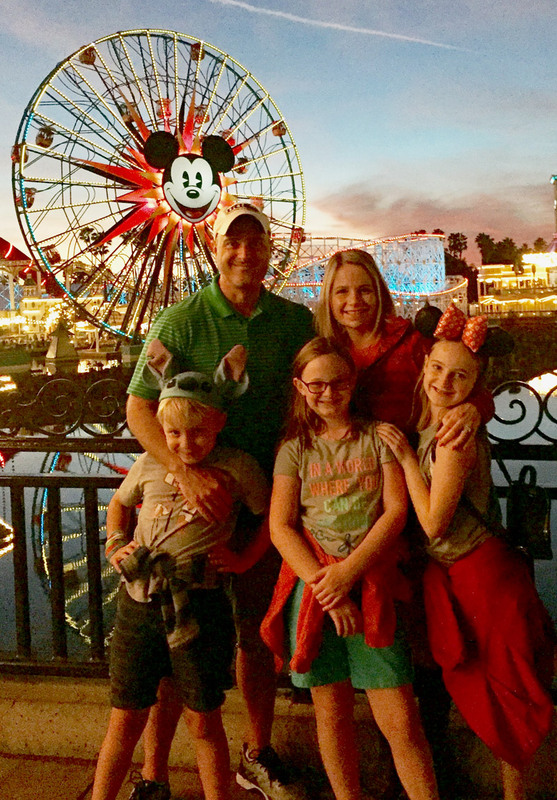 It was a great excuse to sneak away from our fast-paced lives and enjoy some quality family time at Disneyland and Universal. Thank you to the Kyrene Foundation and all you do to serve families and children in our community"
For each $10 ticket sold, $5 will go directly to the Kyrene school PTO of your choice. The other $5.00 supports the work of the nonprofit Kyrene Foundation. Winning tickets will be drawn February 22, 2019. Meet the Schurz Family, John & Rachel, Sydney (Altadena), Mallory (Cerritos) and Graham (Monte Vista).